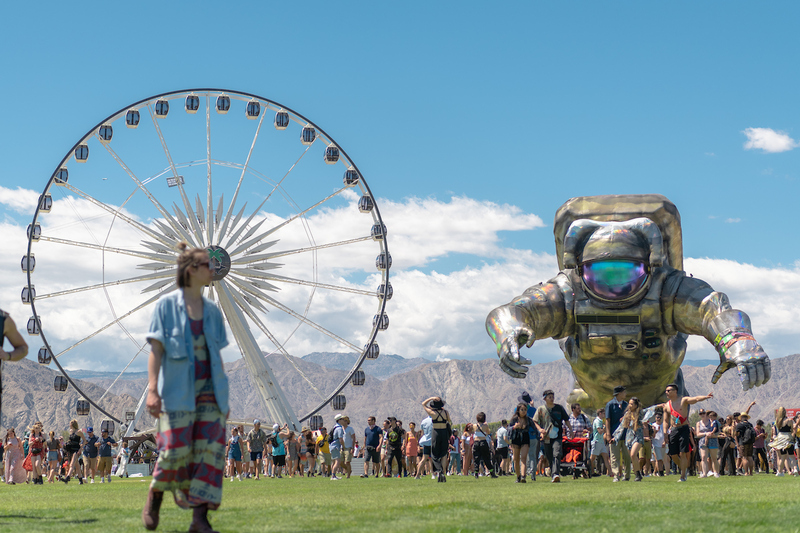 Coachella Weekend One is in the books and that means ooooooh so many recaps posted online from people who attended. Over at Business Insider – a website that I am told occasionally posts about business – Harrison Jacobs details his Coachella experience with an article with the brief and concise title, “I had an amazing time at Coachella — but I probably still wouldn’t go back because of the effort it takes to get there” – which probably would have had a different angle if Jacobs would’ve just looked at a map of the Greater Palm Springs Area before flying out for the fest. Jacobs begins his post by praising the setup and the acts. “Coachella is really in a class of its own for sheer star power and A-list talent,” he writes before moving on to what grinds his gears. All that said, I probably won’t be attending again. My decision has nothing to do with how the event is organized or the quality of the art and music. It all comes down to how much of a production it is to get there. Lots of what I’m going to say doesn’t really apply to the car-owning people of Los Angeles. As someone coming from out of state, however, getting to the festival is a major pain. Yes, because getting to and from Coachella from Los Angeles in a car is always a treat, my dude. I had to fly in from New York on a Wednesday two days before the festival and fly out two days after the festival. Flights any closer to the event were prohibitively expensive. That left me sleeping on a friend’s couch to save a few bucks. Jacking up the price of flights during festival season? Who could’ve ever foreseen the airline industry doing such a thing? Then, on the day of the festival, I had to drive three hours (including traffic) to get to Indian Wells to pick up my wristband and drive 45 minutes back the other way to Palm Springs to check into my hotel (which was conveniently double or triple its usual price for the weekend). The only hotels closer to the festival at a reasonable price (i.e. $300-$400) looked like they’d seen better days. 45 minutes from Indian Wells to Palm Springs? Was he driving 20 miles per hour? And hotels raising their prices during Coachella? Is this a new thing?? The slow-driving Jacobs then rants about the shuttles. To get to the festival from Palm Springs, I bought an $80 pass for the Coachella-approved shuttle. The shuttle itself is well-organized and fairly priced, but there’s no getting around the fact that it takes an hour for the shuttle to drive from Palm Springs to the festival grounds. Yes, Palm Springs is not right next door to Indio. Jacobs might have known this if he would’ve looked at a map of the desert at any point before he arrived. Next year, I’ll probably check out a festival within driving distance of New York City, like Firefly Festival or Bonnaroo, to see how it compares. Sounds like the type of person Coachella will definitely miss.